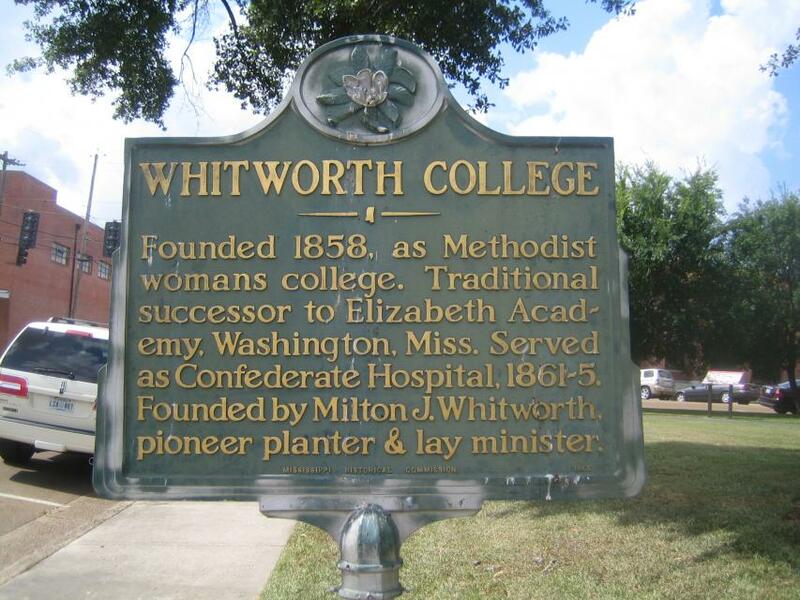 Founded 1858, as Methodist womans college. Traditional successor to Elizabeth Academy, Washington, Miss. Served as Confederate Hospital, 1861-5. Founded by Milton J. Whitworth, pioneer planter & lay minister. This marker can also be identified by its HM code. You can use the hashtag #HM1IOJ in tweets, and any other place where you might refer to this marker, including when searching on this site.